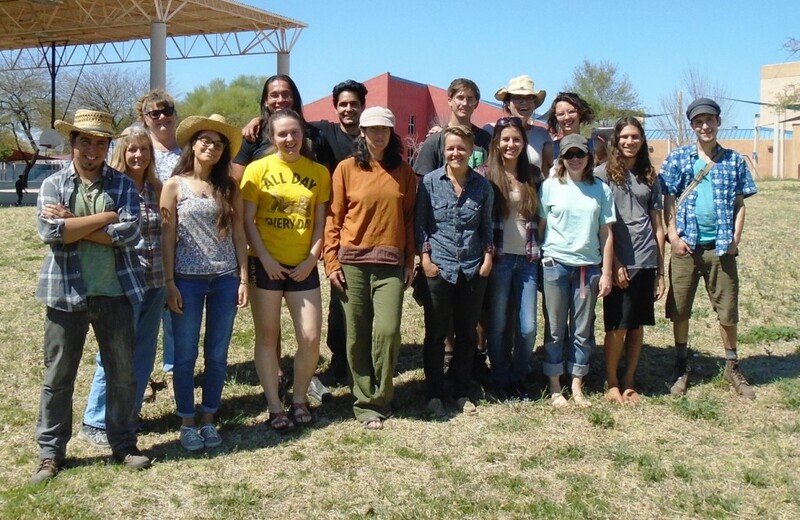 The 25th Annual Permaculture Design Course – a Tucson tradition! This course happens over five weekends every February and March – Registration opens for the Spring 2020 course on August 5th – e-mail Dan at dorsey@dakotacom.net to get on the notification list. Dates for the the upcoming Spring 2020 course are the following five weekends -Feb. 7th and 8th ; Feb. 15th and 16th; Feb 29rd and March 1st; Mar. 14th and 15th; and March 21st and 22nd. Generally, class runs from 9AM to 5:30 PM each day. The cost for the course is $785. There is an OPTIONAL textbook cost of about $42 for a copy of Introduction to Permaculture by Bill Mollison, available on the Internet. You will be able to complete the course with just the 175 page notebook supplied as part of the course fee. Also highly recommended is Brad Lancaster’s Rainwater Harvesting for Drylands Vol 1 and Vol 2. A limited number of partial scholarships are available to cover the course fee. For the last 15 years this course has been full with a waiting list, so early registration is encouraged. To give a high quality educational experience, we limit the size of the class to eighteen participants. Registration opens on August 5th, 2019. Contact Dan, the course registrar, at dorsey@dakotacom.net or 520-624-8030 to register and/or to receive the syllabus and ‘FAQ’s’ for the course on or after this date. 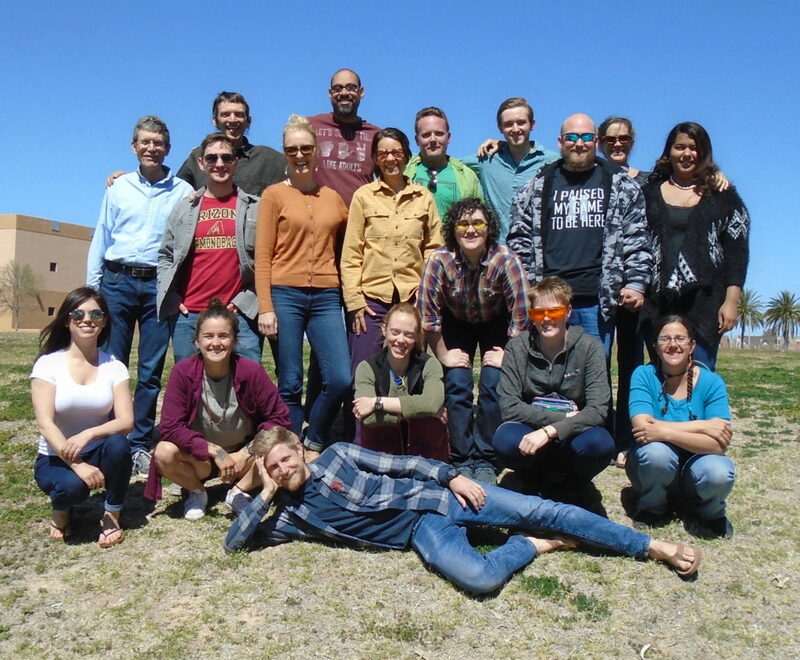 This Permaculture certification course covers all aspects of sustainable design with a Southwest dry lands flavor, including a balance of hands on experience, classroom time, and design practicum. Dynamic exercises encourage pattern recognition, noticing the links between plants and animals, climate, and landforms that make up natural ecosystems. The course focuses on dry land communities with a strong urban and semi-rural emphasis, addressing individual site and neighborhood “problems”, such as storm water flooding. Students learn to read the landscape, to map and analyze energies flowing through a site, and to develop integrated designs for sustainable systems. The weekend format of the course makes it easier for people who hold a week day job to attend and promotes better integration of the course material into daily life. Our course follows the format developed by Bill Mollison and many others. Course topics include agroforestry, appropriate technology, building design, design principles and patterning, site analysis, drylands gardening principles, ecosystem restoration, philosophy and ethics of Permaculture, regenerative community economics, soils and erosion control, village and community design, water harvesting, invisible structures, and many other topics. The classroom site is in the Central Tucson area and at other Permaculture sites in the Tucson area. Much of the class is held outdoors. This course is taught and facilitated by Dan Dorsey, Brad Lancaster, and Barbara Rose, each with two and a half decades of Permaculture experience, as well as our many extraordinary associate SPG teachers. See the profiles for the core team teachers here. See pictures from previous courses and workshops here.